Epiphany. A word misspelled, misused and, sometimes, misunderstood. Its roots lie deep in Latin and relate to a moment of divine manifestation. There is even a feast named Epiphany on January 6. It also means (according to the Oxford Dictionary) a moment of sudden revelation or insight. In my opinion such moments are often life changing. I have experienced both joy and suffering at such times – today it was joy. Today I had an epiphany. The last few weeks have been rather difficult in our household. My husband has been experiencing a number of deteriorating symptoms as he and I travel in this alternate universe called dementia. It became necessary to put him on a prescription that is meant to calm him. A move I was reluctant to make. But it did become a matter of necessity. Happily it appears to be helping. He is slower. His communication skills have dropped precipitously. He is quickly losing control over his bodily functions. We have had much learning and adjusting to accomplish. Today he was becoming quite (actually royally) peeved with me because I would not take him to some imagined meeting he could not miss. This went on for a couple of hours and I suddenly realized that I was not upset. I was not tearing my hair out wondering what I was doing wrong. I was not yelling at the top of my lungs that I was doing the best I could. In fact, I started to giggle. Standing in our kitchen looking at my beloved spouse, now so far from me, I realized that I was doing the best I could. Simple, right? Not really. 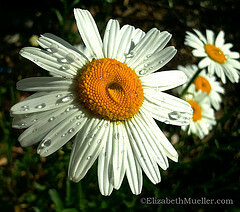 Any caregiver can tell you that no matter how hard we try, somewhere deep inside we feel inadequate. We are not creating a perfect world for that one person we care so much about. We are not fixing it. And, sadly, we won’t. You know what else? It’s not our fault. I could not do what he wanted and needed so badly for me to do right that very minute; and I did not feel a single ounce of guilt. Not one drop. At one point I was able to let him talk on the phone with our caregiver (we were setting up times for tomorrow) and he was promised she would be here and they would talk – and it worked. It wasn’t a desperate cry for help, it was a practical solution. Can I keep this feeling? Cling to it for the release and freedom it gives me? Probably no more so than anyone leaving the Sunday-night revival and heading to work on Monday morning. But now I have a secret. I know what it feels like. And I can get back there. And from that place I will gain strength and I will do the best I can. I did not do this to him. It is not my fault. Warning: The following clip does contain “South-Boston” language. It is a scene from Good Will Hunting when Matt Damon and Robin Williams are discussing – it’s not your fault. One of the things about this sort of therapy is that when you have life-changing events they tend to find their expression in this very private/public way. I have shared the moments of my life with my husband in part to give me voice, and in part to light up the dark cave of this disease with my own tiny flashlight. This past weekend we have, I suppose, passed another milestone. I think (though I’ll never be certain) it all started when I chose to save a bit of time and stop at a grocery store where, he has decided, the people don’t like him. Things were okay for a short while after we got home and then everything went south. He couldn’t understand after all he had done for me, and knowing how much he cared, that I could have done such a terrible thing. He was leaving. Now. After an hour of following him back and forth in the street, apologizing to a neighbor after he knocked on the door (twice), and not being able to get him in the car (in hopes of getting him to the clinic) I called 911. Two patrol cars and a fire truck later things were much calmer. All vitals checked, even though his pulse rate and blood pressure were elevated. He assured the officers, multiple times, that he had not hit me, that he did want to stay, that he didn’t want to lose me. Of course 10 minutes after they were gone he was asking where I had gone. Sunday was rather calm and I actually got a number of things taken care of. Bits of domestic this and that I rarely have time to do. Then came today, Monday. He was quite cheery early in the day but he decided that we must have lunch at 9:30. Not wanting to get him stirred up again I complied. Sometime during lunch he decided he had to go. I had already messaged the doctor about an appointment to discuss meds, but with this new outburst it looked like we were on Plan B. I told him I wasn’t feeling well and I needed him with me at the doctor’s. Well, that was Okay if I promised to drop him off on the way back. I wasn’t going to risk not being able to get him in the car again, so off to the clinic we went a good 2 hours before the appointment. He was extremely nervous anytime I had to leave him alone. When we did get in, he was more communicative with his doctor than he has ever been. Sum total? He didn’t want to lose me. So we did what I swore I would not do until there was no other choice, we got a prescription. That would be for him, not me. I guess when you think about it, if one of his strongest emotions is that he does not want to lose me, but every time he “sees” me I’m someone different – well, how many times a day does he “lose” me? I’ve always tried to be honest about my decisions so that others can benefit in some way. I chose not to use medication until the last possible moment due to side effects and the impact they may have on his other health issues. It is also clear to me that the decisions I make in his care are mine to make as long as I am prepared for the consequences. However, when those choices begin to impact those around us I need to rethink my strategy. In recent weeks I have acquired a number of supporters that are able and willing to help me find the right path for us. Tonight the owners of the home care company I am currently using came to our door. Why? To go over what had happened and to see if that required any changes in the way we had planned support, and to see if I was Okay. People in my circumstances need to know that they are not alone. Not all areas have the same support systems that are available to me. Not all people have friends and family ready to step in, to listen, or just be around to talk about what is happening or things completely unrelated to your role as a caregiver. And not all people are involved in a company that notices your absence in the daily give and take on social media and start the process to find you and make sure that things are okay. I can, however, tell you, you don’t have to be alone. Really. 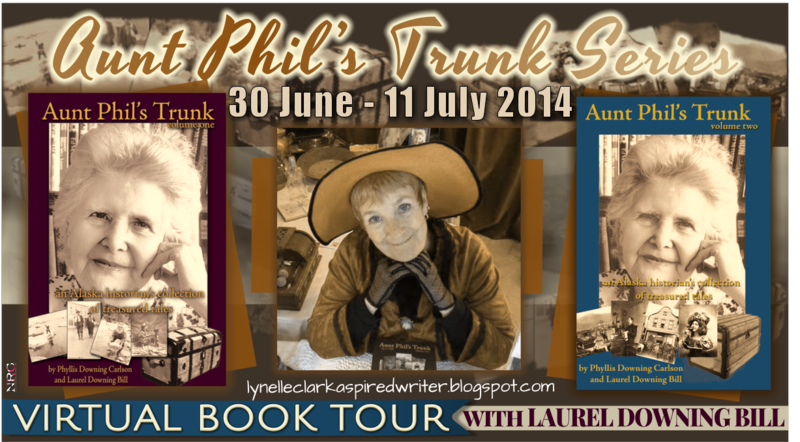 Book Review(s) — Aunt Phil’s Trunk, now 4 volumes each $15-20. A good observer, Heraclitus. Writing in 500 BCE he felt that only the philosopher, the pursuer of truth, was fully alive. I, as an observer and an amateur philosopher, beg to differ. Living is often far too complex for the luxury of contemplation; and yet it is that contemplation that keeps us on the path to who we are. Change, and no change, is something I deal with daily. It is really imperative that I at least attempt to stick to a regimental routine in order to keep my husband comfortable and less subject to aggravation. I’m about to change that routine. It has been becoming rather apparent that a bit of “air” would be a very good thing. The lovely folks at the local chapter of the Alzheimer’s Association have suggested, rather strongly, that I seek some form of respite care. I really don’t face some of the problems that many do in my circumstances. My husband is, basically, quite healthy. However, when he gets focused on something, and nothing I can do can redirect him, well, it does get a bit intense. It is, I suppose, time to give us both a bit of a break. I have found a number of helpful people in the organization. Some of whom make suggestions that are not suited to my goals. Some, however, are very much on point. With their help I have determined that it is quite possible to give my husband some time, once a week, to be with other people. Some of whom were in professional careers before they found themselves derailed by mental illness. It might just work. This week is the trial run. That’s the scary part. Although he will insist at times that he has to go somewhere else, that he is getting kicked out, or any other number of theories that places him away from our home; he is quite frightened when faced with the possibility that I might leave him. This is a major step for both of us. 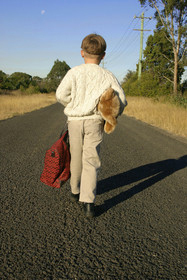 Me taking him somewhere and leaving him with strangers – leaving him – all alone. I am told that I should use the time for me, take a nap, write — do something with some sense of freedom. I’m afraid that after 3 ½ years it might take some practice. I approach this whole event with some trepidation. But I know that letting go in small ways is part of making it possible to keep him with me. I may have found people who understand that and will help me make it happen. Today I bought a bed. In a room to call my own. You say, and invite me in. Am I welcome – or not? Of my own – just in case. How much we once loved. This year my spring cleaning takes on a different cast. A bit darker, and certainly a bit more stressful. For months my husband has been moving “stuff” from “his” room to the spare bedroom. Clothes he does not believe belong to him. Books and magazines he brought upstairs from the library below and now does not want. Small and medium boxes of the collected mementos of a long and somewhat colorful life. When it was all said and done, we managed to haul off half a dozen bags of clothes, shoes barely worn, belts and ties, a couple of boxes of the previous dish set, a portable heater, the infamous exercise bike mentioned in my book, and other assorted tid bits to the lineup at Goodwill. Always refreshing when it’s all done but a bit of a chore in the process. Spring also speaks to thoughts of migrations. The great seasonal movements of beasties that fly, crawl, hop, skip and even drive from one climate to another. Foraging, seeking mates, resting weary bones. It is a season that speaks of future things. Some bright, some sad beginnings of another stage in life. I, too, am beginning a migration. It is one that I expected but that sneaked up behind me at a vulnerable moment and knocked me off my trolley. When it comes to the vagaries of dementia, recognition of family members seems to disappear early in the process. It did for us. That is, of course, the inspiration for the title to my book, Who I Am Yesterday. Now days he will sit by my side as I work and look at my Facebook page pointing to the photo of “Victoria Adams” and tell me, “If we could find her, boy, does she know what she is doing.” Then I guess I better get busy and find that woman. Along with lack of recognition you know, deep down in your heart, there will come a day when you are no longer welcome in your own bedroom. So far, I’ve been lucky. In fact some nights it seems as though he cannot sleep until I am there. But, it has begun. There came a night when I was not welcome and, consequently, ended up on the couch. The next night when I was not recognized during my first attempt to retire, I was informed he was saving the spot for someone else. Fifteen minutes later he was in my office wondering why I hadn’t come to bed. Our couch is not all that conducive to a good night’s sleep; especially with the disadvantage of arthritic bones. So, part of my spring cleaning adventure was to exchange the exercise bike for a standby, roll up bed. I’ve taken a liking to late-night Yoga anyway. It could not be something that would get him worried about extra visitors; but something that would give me a landing place should the need arise. Next stop – my office. So another spring to clean out the corners, rearrange life and prepare for the next migration. This is a rare privilege and an honor. As a little background, and in the interest of full disclosure, here is the story. When I have the chance I tend to follow up on the people who choose to “follow” my Alcove. Who they are and what we might have in common intrigues me. There are times when I have no idea why the person found interest in my cyber-room, then there are the times I am delightfully pleased. Such was the case when Mr. Wells stumbled upon my space some months ago. One visit to his blog and I was absolutely hooked. As it happens, I am a business director for a small press based in the southern United States. In order to make sure I had my senses about me I asked one of our editors to take a look see. The verdict? Go get him. And so I did. After three years of blogging success, Peter has allowed PDMI Publishing, LLC, the privilege of publishing his first novel. And what a novel it is. If you spend time on Peter’s blog, Counting Ducks (and I highly recommend you do) you will find a delightful mix of humor, serious observation on the plights of people and humanity in general, and a craftsman’s skill at the development and illumination of character. 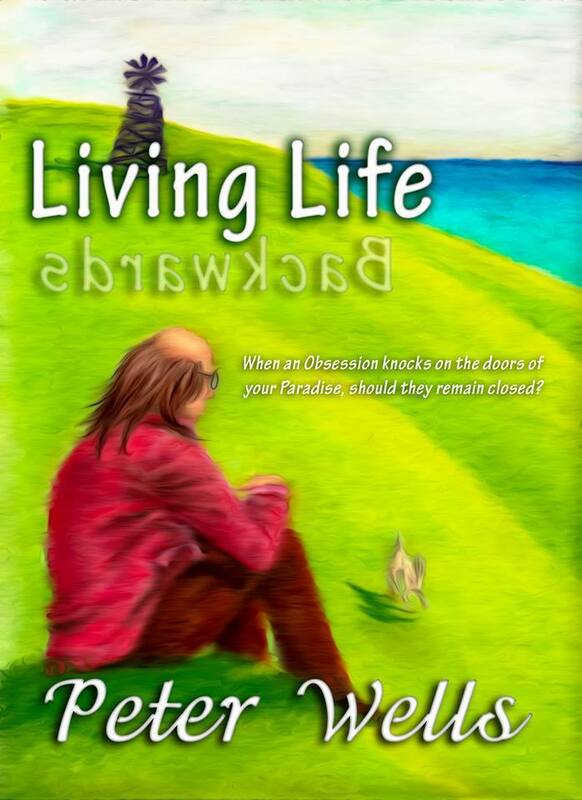 In Living Life Backwards Peter shows a unique aptitude for storytelling. He creates characters that you know, or will instantly recognize the next time you are out and about. Perhaps they will cause you to chuckle or even blush because of some quirk or trait a little too close to your own. This is something that I find is a lost art in much of current literature, creating characters the reader cares about. When you grow to know these people they have lives outside of the novel. You are always expecting to see them just around the next corner. With these well developed tools, Peter weaves a story that every reader can relate to. Maybe not the same circumstances, but certainly the logic, emotions, and struggles we each face in our lives. What do you do when you have reached a point in your life when things are somewhat balanced, when you know what is expected of you, when you know deep down that this is at least what you thought you wanted, and suddenly the brass ring is placed within your reach? When that moment comes, do you decide to remain safe, and maybe even just a touch miserable? Or do you reach for paradise, perhaps knowing perhaps not, that paradise may not be all it is cracked up to be. I highly recommend this read. You will come away having enjoyed a touch of humor, some entertainment, and quite a bit to think upon!